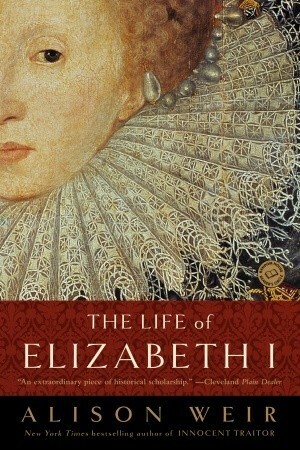 This is the first time I’ve read a history book that’s just about Elizabeth. Considering how much I’ve already read about her parents and their lives, I thought it was weird that I didn’t actually know that much about Elizabeth’s life after her parents died. This was a really good place to start. My favorite part of the book is actually at the very end, and isn’t even technically part of the book at all – think of it as a bonus track. After the epilogue and the eighteen-page bibliography and the three genealogical tables (damn), Weir adds a delightfully spiteful article that she wrote on movies about Elizabeth: which ones take the material seriously and still manage to be entertaining, and which ones make her want to tear her hair out. In case you’re wondering, Weir likes the BBC miniseries with Helen Mirren as Elizabeth (I heartily agree), and she spits on anything involving Cate Blanchett. According to Weir, Elizabeth “contained so many inaccuracies it would be impossible to list them all” (but she goes ahead and lists a lot of them) and The Golden Age “is another historical travesty, made with only the sketchiest regard for the facts and little understanding of the period.” The article is worth reading just for the way she goes apoplectic over the way Sir Walter Raleigh was portrayed – Weir sputters that no one would be allowed to appear in front of the queen in an open shirt, but I for one approve of that anachronism because Clive Owen.